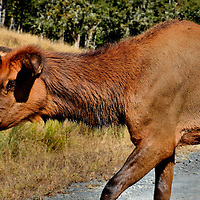 An unexpected yet delightful attraction near Winston, Oregon, is the Wildlife Safari. Over 500 animals from the Pacific Northwest and around the world roam freely on this 600 acre property. Your two-hour drive through lets you admire these 75 species up close. The experience is a wonderful adventure.